The audit sets a high level of compliance that supplier member should adhere to and covers Quality Systems & Procedures, Product Testing, Raw Material & Components and Process Control. 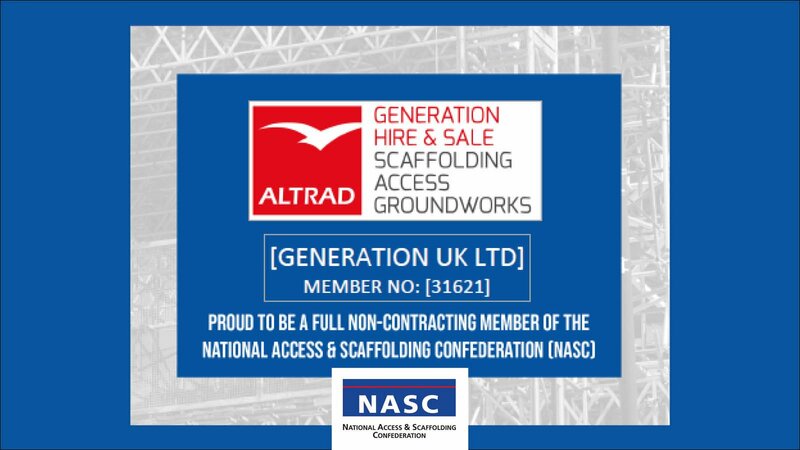 NASC state “Contractors can rest assured that audited products supplied by NASC full non-contracting members are compliant ad perform to the highest standards”. Take a look at the Generation Hire & Sale auditing certificate.